Letter No OAED/HFD/9377 Quaid-e-Azam Academy for Educational Development Hafizabad Dated November 30, 2018, regarding Primary School Teacher Training (PST) in Winter Vacations 2018. It is submitted to the Chief Executive Officer (DEA) Hafizabad. 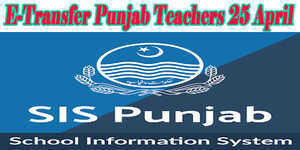 Primary Schools Teachers (PST) Training in the Punjab Batch-I under PEELI Project w.e.f 24-12-2018 to 29-12-2018 With refer to the E-mail 27-11-2018 from Q.A.E.D. Punjab, Lahore regarding subject cited above. 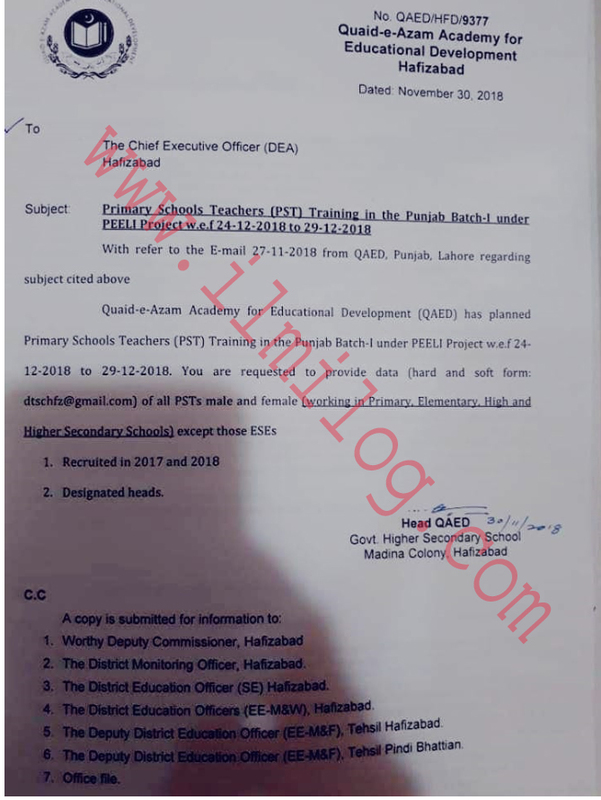 Quaid-e-Azam Academy for Educational Development (Q.A.E.D) has planned Primary Schools Teachers (PST) Training in the Punjab Batch-I under PERU Project w.e.f 24-12.2018 to 29-12-2018. You are requested to provide data (hard and soft form: dtschfz@gmail.com) of all PSTs male and female (working in Primary. Elementary High and Higher Secondary Schools) except those ESEs 1. Recruited in 2017 and 2018 2. Designated heads. A copy is submitted for information to 1. Worthy Deputy Commissioner, Hafizabad 2. The District Monitoring Officer, Hafizabad. 3. The District Education Officer (SE) Hafizabad. 4. The District Education Officers (EE-M&W), Hafizabad 5 the Deputy District Educator Officer (EE-M&F), Tehsil Hafizabad 6 The Deputy District Education Officer (EE-M&F), The Pindi Bhattian 7 Office file.